After a car accident, most people feel shocked and overwhelmed. This is perfectly understandable and a natural response, but it is important to keep as calm as possible and take steps to ensure everyone is taken care of and the incident is recorded properly. Calling the police and calling 911 are the most important steps, especially if anyone is severely injured, but there are other steps you can take to help your insurance claim and help you get the best settlement to take care of your injuries and related expenses. If you've been injured in a car accident, call the Law Offices of Gary Bruce at 706-685-6713 as soon as possible for your complimentary consultation. We are experienced in dealing with car crashes caused by negligence in Georgia and Alabama, and we will help you get the compensation you deserve. These are some of the steps you can take after a car accident to help ensure you'll be able to reach a fair settlement. If you cannot follow all of these steps, don't worry - our personal injury lawyers will still help you out as best we can. Call 911: If anyone is severely injured, the first thing to do is call 911 and get them to a hospital. The health and safety of everyone involved comes first. Call the police: Calling the police should be the next thing you do. The police will be able to take statements, observe the scene, and create a record that can be referenced at a later date. Exchange insurance and contact information: Better to get all necessary information now than have to track down the other party's information later. Get contact information from any witnesses as well. Take photos: If you can, you should take photos of the scene. Get as many photos as you can from different angles. This may be of help later when insurance companies are trying to pinpoint liability. Write down or record your own experience: Human beings have unreliable memories, so it's best to record your own impression of what happened while it's still fresh in your mind. Stick to the facts and don't make any statements about potential injuries or speculation about fault. Call Gary Bruce: Finally, you should be sure to call our car accident lawyers as soon as you can. 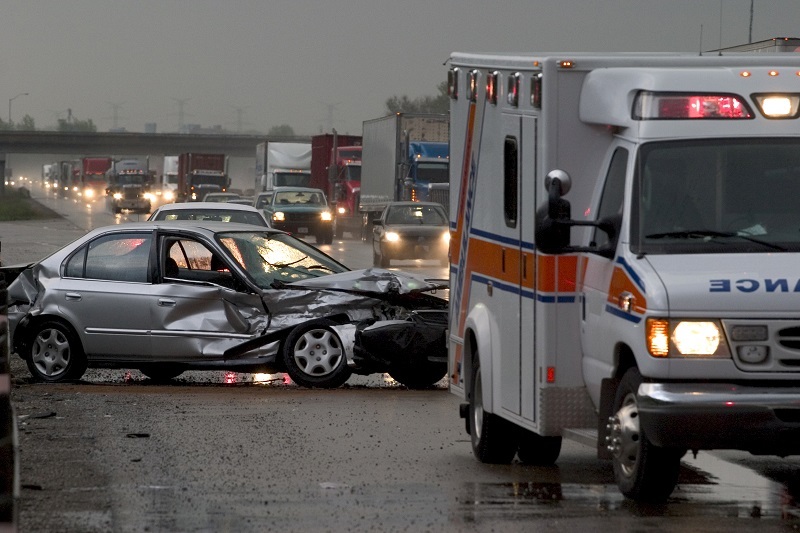 A personal injury lawyer can help make sure you get the maximum compensation possible for your injuries. If you didn't go to the hospital directly following your car accident, you should visit a doctor as soon as possible. Even if you think you weren't injured, or that your injuries were minor, it is best to get checked out by a professional. Often, painful symptoms may not appear until days or even weeks later. A doctor can examine you to check for injuries you may not be aware of yet. If you have been injured in a car accident caused by someone else's neglect, don't hesitate to contact the Law Offices of Gary Bruce at 706-685-6713 for your free, no-obligation consultation. We serve clients in Columbus, Fort Benning, and nearby areas of Georgia, as well as Phenix City, Alabama.